Anybody up for a reversal? 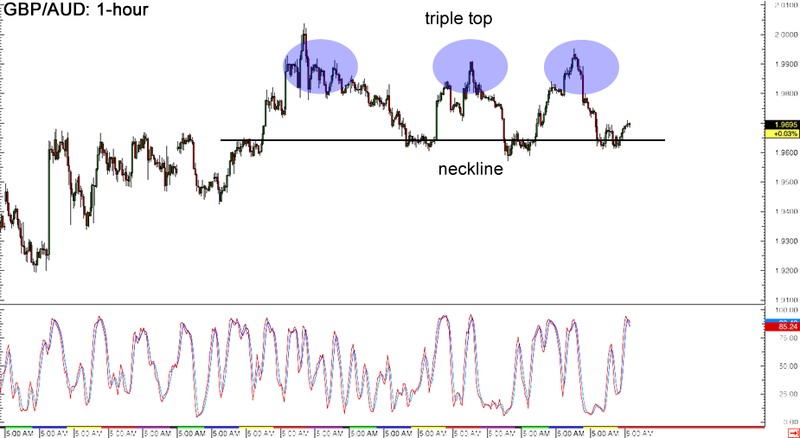 GBP/AUD just formed a triple top on its 1-hour forex chart and is currently testing the neckline, still deciding whether to make another bounce or a break. Stochastic is already indicating overbought conditions, which suggests that a move lower is more likely. If that happens, the pair could fall by at least 400 pips, which is the same height as the chart formation. On the other hand, if a bounce takes place, the pair could head back towards the resistance near the 2.0000 major psychological level. 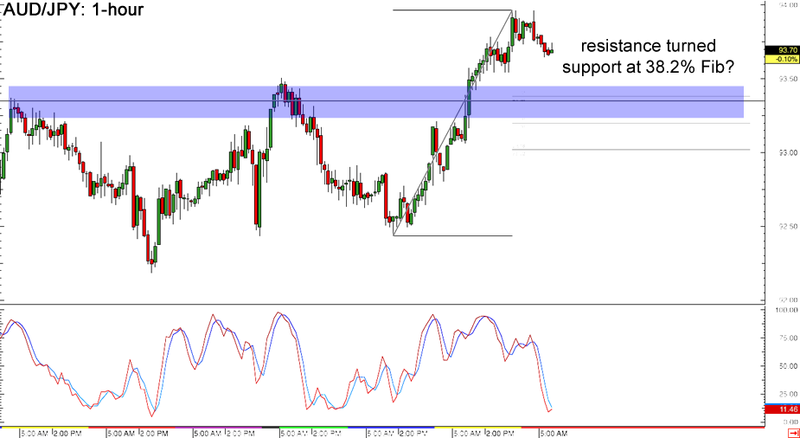 Here’s a potential break-and-retest play brewing on AUD/USD’s 1-hour forex chart. The pair just broke above the resistance around the .7840 level and zoomed up to the .7900 major psychological level before retreating. Price could pull back to the broken resistance area, which lines up with the 38.2% Fibonacci retracement level on the latest swing low and high. Stochastic is moving down for now but is almost in the oversold area, hinting that buyers could take control of price action soon. 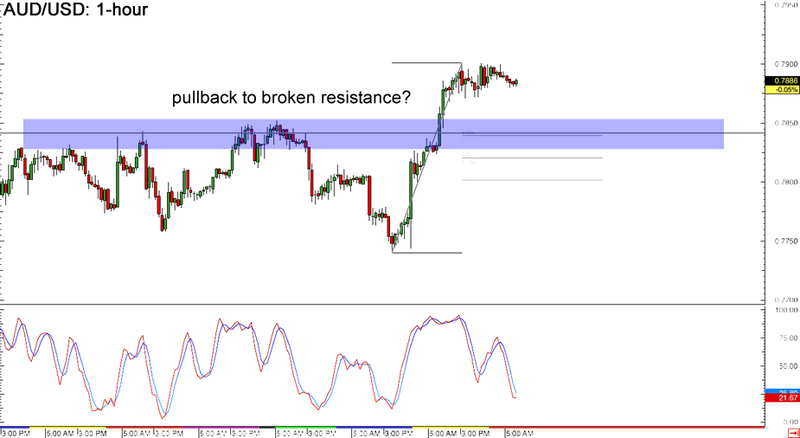 Can’t get enough of forex retracements? Here’s another one on AUD/JPY’s 1-hour time frame! The pair also made a strong break past the resistance around the 93.50 minor psychological level and climbed up to the 94.00 mark. Since then, price has retreated close to the 38.2% Fibonacci retracement level, which coincides with the broken resistance. Stochastic is giving the oversold signal, which means that sellers are tired and that buyers might be ready to take the upper hand. If they do, AUD/JPY might bounce back to its recent highs or create new ones!